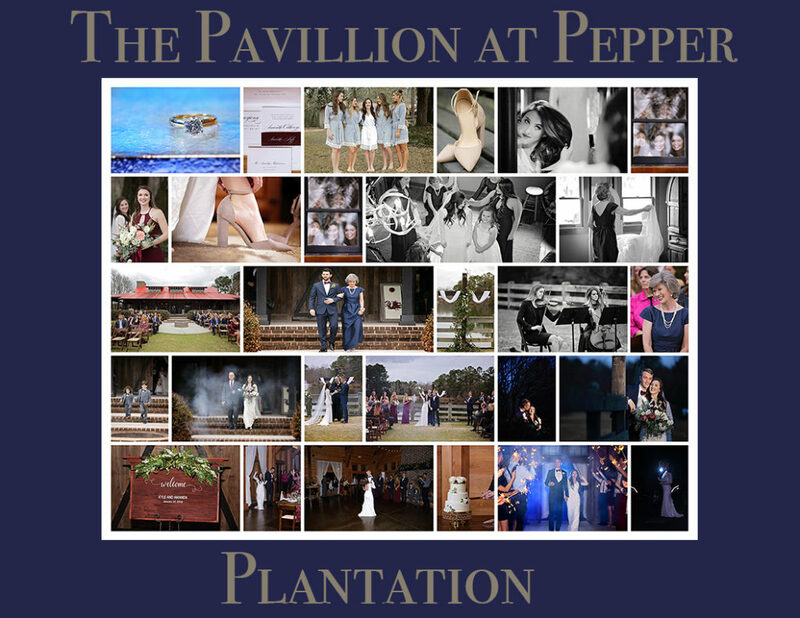 The Pavilion at Pepper Point Plantation is the favorite choices by many couples for hosting a great southern wedding event. The rustic outdoor wedding venue is fairly new located in Awendaw, SC. Once you take that turn from Hyw 17 into the venue you have a great sense of peace and tranquility from the stables, to the bridal cottage and horse that may linger by. The Main Hall with its red roof that is very unique, including the Lowcountry-styled-porches. Inside from the barn doors, you are exposed to beautiful wooden beams, massive fireplace. Outside you will see a huge fire pit, a waterfront gazebo. This barn rustic setting is the perfect tone for a wedding soiree. When you walk into this venue you get a sense of walking into cathedral-like ceilings with massive brick fireplace. This 3,000.00 sq. ft of open space can accommodate up to 200 of your family and closet friends. With 8 swinging barns doors, air conditioning and depending on the time of the year that you are having your nuptials you may also have access to their outdoor heaters. The best part of this wedding venue is how on a wedding day you can incorporate the pre-ready photography by having the groom and the groomsmen in the back of the main house on the lawn while still being able to capture the bride and her bridesmaids at the cottage away from the main hall. If you are looking for a unique backdrop for that truly chic Southern Affair, look no further.